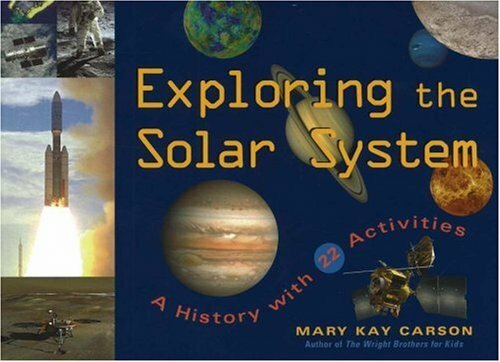 In this illuminating activity book, kids delve into the rich history of space exploration, where telescopes, satellites, probes, landers, and human missions lead to amazing discoveries. Tracking astronomers' recent progress-including the discovery of 2003 UB313, what some are calling the tenth planet in the solar system-kids explore the planets and other celestial bodies for themselves through activities such as "walking" from the sun to Pluto or creating their own reentry vehicle to safely return an egg to Earth's surface. With biographies of more than 20 space pioneers, specific mission details, a 20-page field guide to the solar system, and plenty of suggestions for further research, this is the ultimate guidebook to exploring the solar system.